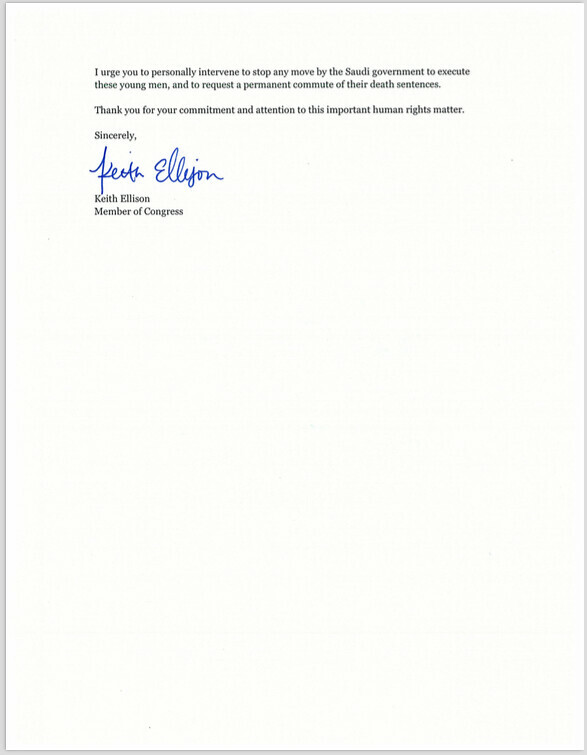 Congressman Ellison to Sec. 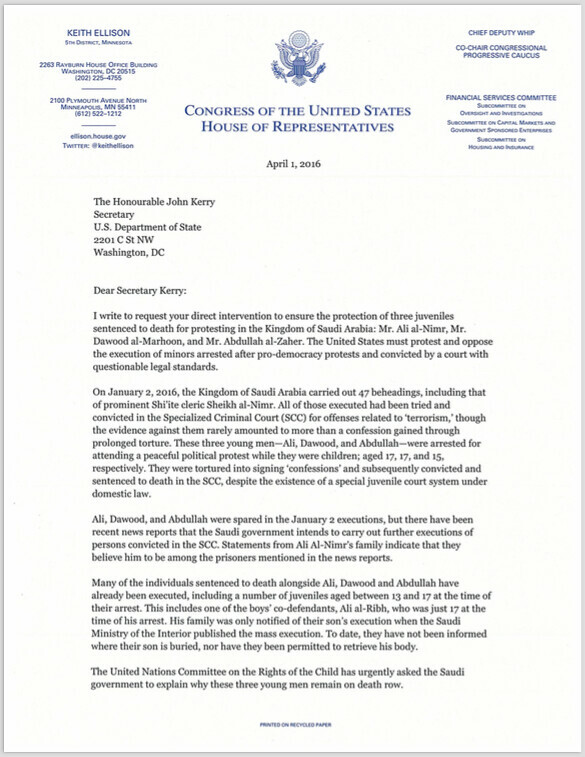 Kerry: Stop Saudi Executions! CODEPINK, together with the UK-based group Reprieve, urged Congressman Ellison to speak out on behalf of these young Shia prisoners on death row in Saudi Arabia. We thank the Congressman for his efforts!